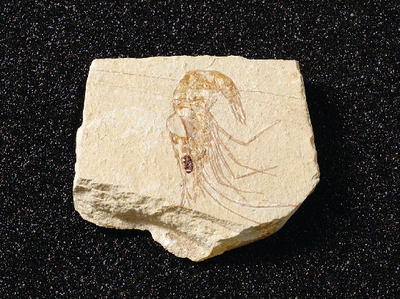 Nicely preserved, small fossil shrimp in matrix. Good study specimens. Lebanon.